Virtualbox: Fix full screen problem for all OS (2019). 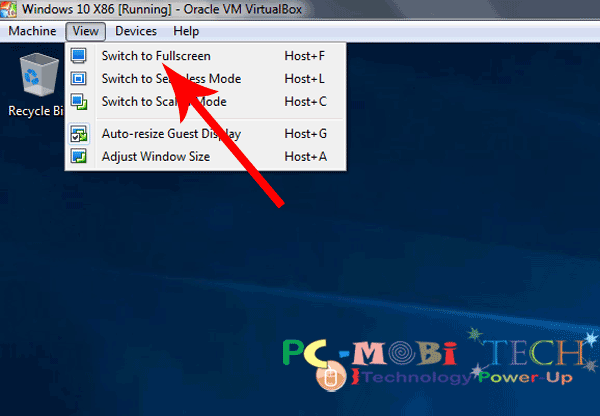 Oracle VM VirtualBox is an easy way to use multiple OS on a single window. You can install many Operating Systems on Virtualbox Virtual Machine. like- Windows, Linux, Solaris, BSD, IBM OS/2, Mac OS X2 & others etc. But after install, when we start any virtual machine then the problem is- it starts with a small screen. We choose full-screen mode but faces resolution problem. It is because when we installed any OS on the virtual box then Virtual Box doesn’t automatically install the drivers. We need to do this manually. So how to fix the full-screen resolution problem & how to enable full screen mode. How to solve full-screen resolution problem in Oracle VM VirtualBox? How to install Virtualbox Guest additions? Windows- Windows 3.1, 95, 98, ME, NT 4, 2000, XP, Vista, 2008, 7, 8, 8.1 & Windows 10 all 32 & 64 Bits Windows Server 2003, 2008, 2012 All 32 & 64 bit versions. Linux- Linux 2.2, 2.4,2.6, Ubuntu, Debian, Open SUSE, Mandriva, Mandrake, Fedora, Oracle Linux, RHEL, Red Hat Linux, Xandros. ArchLinux & Gentoo. Solaris- Solaris 10, 11, OpenSolaris. BSD- FreeBSD, NET-BSD. Open BSD. IBM OS/2- OS/2 Warp 3, 4, 4.5, ecomstation, Other OS2. Others- DOS, Netware, L4, QNX, JROKITVE & other unknown. If you are facing full-screen resolution problem. Then you will need to install drivers for that Operating system. Oracle VirtualBox has included drivers for all OS virtual machines. The driver CD name is Virtualbox Guest additions. Before installing Guest additions Virtualbox, You will need to attach Guest Additions ISO image. To insert Guest Additions ISO CD image click on Devices menu of any operating systems running in normal mode. Now click on Insert Guest Additions CD image… option from the device menu. Now the Guest Additions ISO image has been successfully connected to Virtual Box virtual machines. To install drivers for the related OS, open Windows explorer or File explorer of the running OS in VirtualBox. Expand drives from the left pane & choose CD Drive (D:) VirtualBox Guest Additions. VBoxWindowsAdditions- For all windows versions. VBoxSolarisAdditions.pkg- For all Solaris versions. VBoxLinuxAdditions.run- For all Linux versions. OS2- Open OS2 folder for OS2 driver install. After clicking on any OS driver then an installation box will appear, click on Next & follow on screen instructions. When it will ask you to install the driver then click on install button. Now the driver has been installed. Restart the VirtualBox OS. Click on View menu of any running OS in VirtualBox VM. Now Click on Switch to Fullscreen option. That’s it! 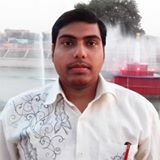 Now you have been successfully solved full-screen resolution problem in Oracle VM VirtualBox. Click on Devices menu of any running OS in Virtual Box» Go to under CD/DVD devices» click on Choose a virtual CD/DVD Disk file. Select ISO file from the main Operating System download folder. Any Problem or Suggestion leave a message in the comment box. 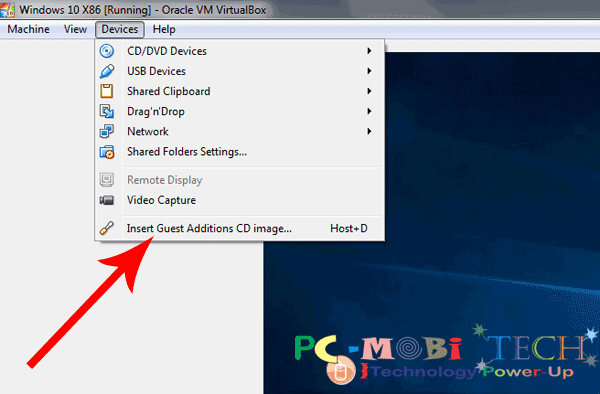 Record videos with Oracle VM VirtualBox. How to check Remix OS on VirtualBox without USB drive. It does not give me a security dialog box to confirm driver installation, but it seems to install and then prompts me to reboot. After the reboot, I cannot change the resolution. An error occurred during installation vbox windows additions.. Any help please ?? 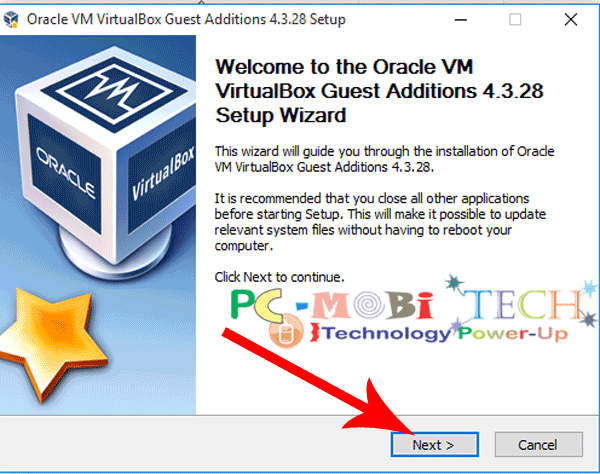 Have you tried to download and use latest VirtualBox Guest additions: Check here. You will need to check latest Virtual box directory and then download the latest Virtual Box Guest Additions. guest additon wont work for mac os. is it posiible to fix full screen issue in mac? Perhaps I should install Kali since I want to learn more about Penetration testing. I did you use the scale feature as a work around in Centos, not ideal but it works for me at this point. Worked Like a Charm. Thanks for sharing this. I have some queries regarding virtual box. I have core i3 processor and 4GB ram . Q1). Which drive is better to install Virtual box ? Is it C drive or D drive ? Is the drive needs to have more free storage ? Q2). Will allocating 1.3 GB ram to virtual box sufficient, if I use painting software which require minimum 1GB ram. ? A1). You can install the Virtual box where you want but VirtualBox VDI size always dynamically increases, so when you install it in C drive then it must have good amount of free memory otherwise in the future you’ll face low storage problem. 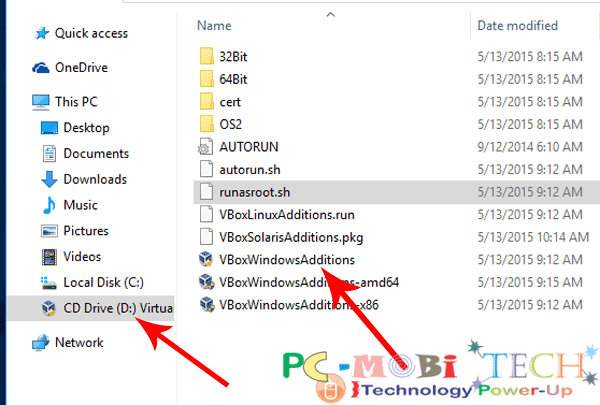 Another thing is you can install the Virtual box setup in the C Drive but when you setup and create any OS VDI or VHD in the virtual box then you can choose a different drive, So it will not create any space related issue in the future. A2) If you are going to use Windows in it then You should use at least 2gb ram, you can also use this on 1.3 GB but I can say you’ll feel very slow experience or sometimes OS may be freeze. A3) It will automatically chose appropriate value, so you don’t need change anything. When you create new VDI and select OS type then Virtual Box will automatically select necessary Ram and CPU size. I will suggest you don’t change the settings. If you think allotted Memory exceeds requirement then you can anytime change the value after completely shutting down the OS. I have the virtualbox 5.2.8 but all my virtual machines have a big screen that doesn’t fit in my computer (4k screen resolution). The default resolution that better bit is 1067×509 but the icons are kind of blurry. I installed the Guest Additions and tried another methods but any of those work. Any suggestions when the screen resolution is too big? I’ve got the exact same problem, running arch linux host OS, virtualbox 5.2.10 r121806. The Gui is WAY too huge, I can’t get a decent resolution in my guests (guest additions installed), stuck with 1280×600 although I’m running 2560×1440 resolution at my host. Nothing is helping to resolve the issue, Oracle broke the guest additions and the gui with the update to version 5.2.6. This is REALLY ANNOYING! I can’t downgrade my version on arch, compile always fails (another problem unsolved). Running Windows as Host OS I get normal high resolution in my guests, everything is working fine. Many Mac users also have this issue -> Virtualbox guest additions are broken for Linux and MacOS, working on Windows. Works great on Windows 10 VirtualBox VM running on 27″ iMac w Mac OS / High Sierra .. full screen @ 2560×1440, thank you! I have Windows 98SE installed in VB version 5.1.6. I tried to install the VB Guest addition (for version 5.1.6) in order to get a full screen. Alas, I get an error message saying that the VB Guest addition cannot be installed on this version of Windows. In my research, I came a cross a blog that said that VB guest additions does not support Windows 98. If true, is there another solution? PS I am using the Scitech video driver but can’t get full screen.